1. I live on a dead-end street, and people often use my driveway to turn around. Am I allowed to block off my driveway with orange cones or ropes to prevent such a manoeuvre? Is it legal to turn around in someone’s driveway? And what happens if someone, in the course of turning around in my driveway, damages something? Bylaw and Regulatory Services is not aware of any regulation that would prevent a driver from utilizing another person’s driveway to turn around. A resident may prevent entrance to their driveway, as long as the barrier is placed on their own property and not in the municipal right-of-way. Damage incurred to private property is a civil matter. 2. My neighbours place reflector poles at the edges of their driveways to guide snowplows during the winter. Some of them leave the poles up all year. Plainly speaking, the poles are ugly and unnecessary in warmer months. Is keeping them up year-round allowed? Are there rules regarding their size? Driveway markers cannot be installed before October 20 and must be removed by April 30. Driveway markers typically used by private snowplow contractors are permitted under certain conditions. They must be either wood, plastic, or fibreglass and may be no wider than four inches and no taller than four feet. They must be set back two feet from the sidewalk or four feet from the road. There is currently a pilot project allowing metal markers; metal markers may not be wider than 0.4 inches or taller than four feet. They must be capped and placed a minimum of five feet from the sidewalk or seven feet from the road. 3. My neighbour has a fruit tree that attracts wasps. The problem is, the tree is close to our backyard where our daughter plays. She hasn’t been stung yet, but it’s only a matter of time until it happens. My neighbour refuses to spray or take any measures to get rid of the insects. What are my neighbour’s responsibilities with regard to managing the insects? There is no municipal regulatory requirement for a property owner to spray for insects outside of their dwelling. 4. My home is located close to the street near a bus stop. It’s not a shelter, but it still attracts lots of people. 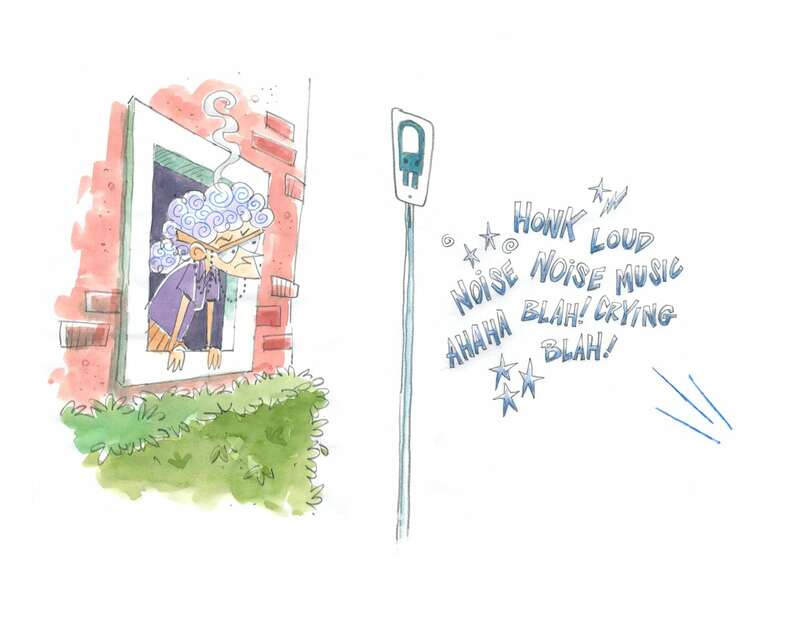 In the summer, when I have my windows open, the noise from people talking while they wait for the bus can sometimes be unbearable. Is it possible to have the bus stop moved? Bus stop locations are determined based on what will provide the most convenient and efficient transit service for residents in the area. OC Transpo is also involved in identifying bus stop locations when a new subdivision is in the planning phase. We are always open to resident feedback and can review bus stop locations on request. You can contact us by using our website or by calling the OC Transpo customer relations team at 613-842-3600. 5. My father is moving in with us, but our home in the city is very small. Plus, we like having our own space — so does he. I’ve heard about people building or moving a small house, also known as a coach house, into their backyard. Can I do that? Can I hook it up to the home’s power/sewer? Are there any size restrictions? Coach houses in the city of Ottawa are permitted through the permissions provided by the city’s coach house program. Some confusion has arisen in the past around what is considered a coach house. For the purposes of the Ottawa zoning bylaw, a coach house is defined as a detached dwelling unit that is subsidiary to a principle dwelling unit and located on the same lot. The minimum size restrictions of a coach house are regulated by the Ontario Building Code. The maximum size of a coach house is regulated by the zoning bylaw and contingent on the size of the backyard and the size of the primary home. A coach house can cover only 40 per cent of the backyard available space; it can be a maximum of 40 per cent of the footprint of your primary home, up to a complete maximum of 80 square metres in the urban area and 95 square metres in the rural area. The coach house will also be required to obtain servicing (water, sewer, gas, and electrical) from the primary home. Coach houses should not be confused with “tiny houses,” which is an industry term and seen on TV shows such as those on HGTV. 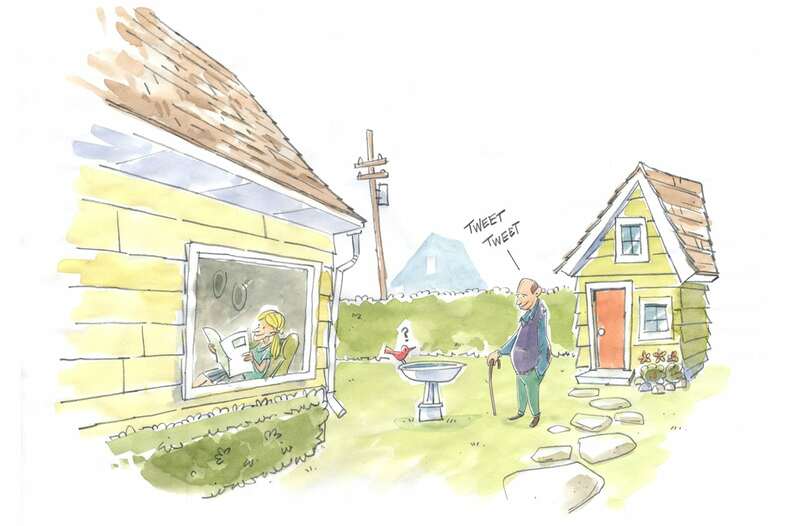 Tiny houses are not defined within the Ottawa zoning bylaw and, in most cases, are built on a mobile chassis regulated under the Ministry of Transportation, not the Ontario Building Code. 6. I own a very iconic-looking home that was built in the 1970s and is very emblematic of the architecture of the period. Can it receive heritage designation? Yes. In order for a property to be designated, the Ontario Heritage Act requires that it meet one of three criteria relating to its design, history, or context. Modernist architecture was popular in Canada between 1940 and 1970, and Ottawa has many fine examples of houses emphasizing the simplistic forms, lack of decorative features, low profiles, flat rooflines, integrated carports, floor-to-ceiling and rectangular windows, and simple canopies, which were emblematic features of this style. Briarcliffe, in the city’s east end, is an entire district of such houses collectively recognized as a heritage conservation district. Heritage comes in many different shapes, sizes, and ages, but the industry standard suggests that designation is typically limited to buildings constructed prior to 1980.